Requires Event Espresso 4.8 and above. 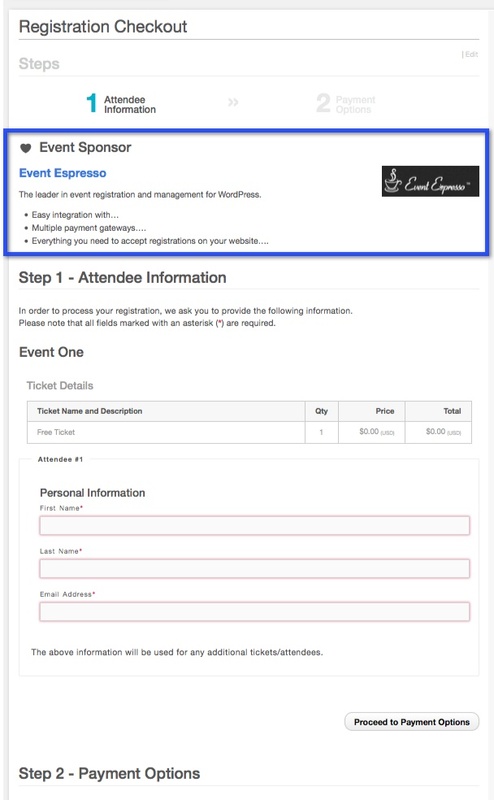 In this tutorial, we will create an event sponsor section that can be displayed throughout the event details, ticket selector page, and checkout process. 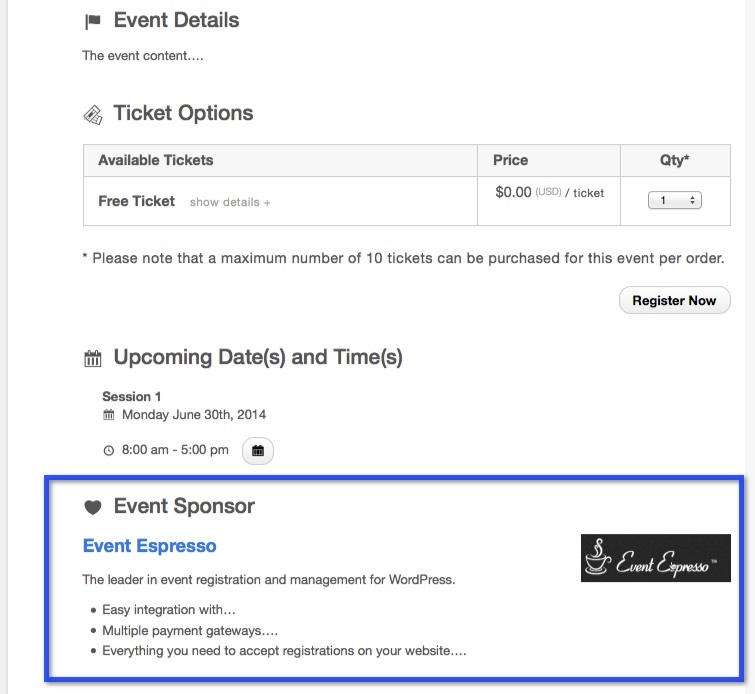 To keep this example short and to the point, I will show you how to add a single sponsor to a an event. 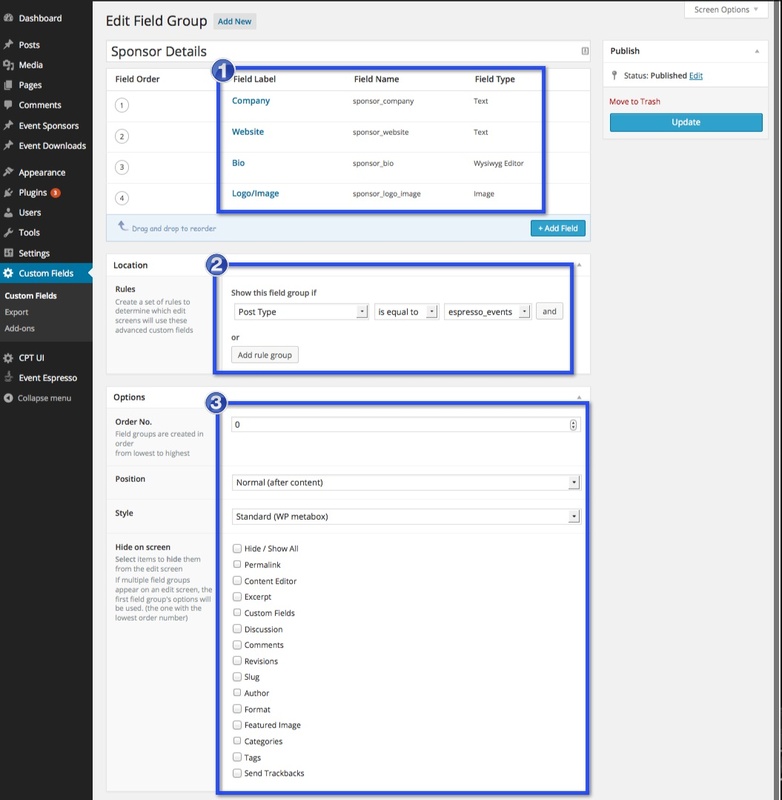 Developers that are familiar with the ACF plugin should be able to use the “Repeater Field” and/or the “Flexible Content Field” add-ons for ACF to to create an infinite amount of sponsors for each event. 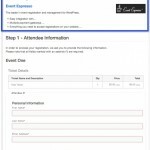 The snippet above uses an EE4 action hook called “AHEE_event_details_after_the_content” to display the contents of the “ee_event_sponsor_area()” function, which contains the HTML for our new sponsor box. 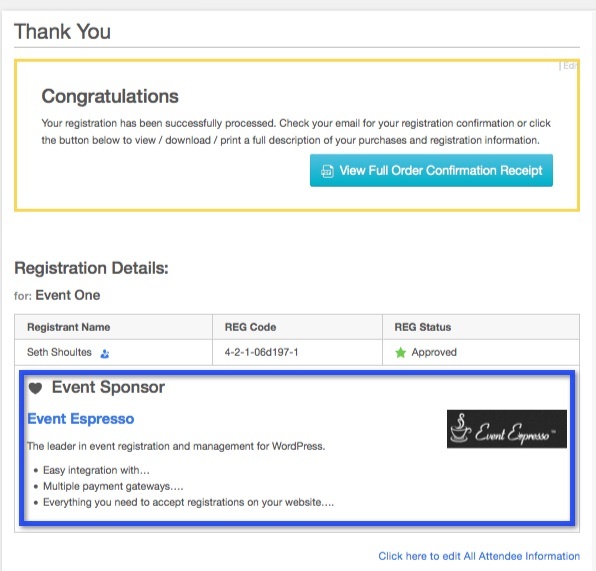 The hook can be found within the wp-content/plugins/event-espresso-core/shortcodes/espresso_thank_you/templates/thank-you-page-registration-details.template.php file. 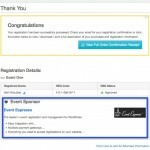 Want to add the sponsors section to the “Single Page Checkout” (the EE4 registration process, also known as SPCO)? This is where it gets a little tricky, because we have to grab the event post ID from the transaction object. Since the default styles in EE4 push down the “Step 1” heading, you may need to reduce the amount of space between the step heading and the sponsor details [screenshot]. To decrease the space between the step title heading and the sponsors box. You will need to add the following CSS to your theme/functions.php file. Adding the the sponsors section to the “Thank You” page is similar to the SPCO. We just need to grab the event post ID from the “$registration” variable, which is passed to the EE4 action hook “AHEE__thank_you_page_registration_details_template__after_registration_table_row”. 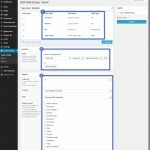 The hook can be found within the wp-content/plugins/event-espresso-core/shortcodes/espresso_thank_you/templates/thank-you-page-registration-details.template.php file. 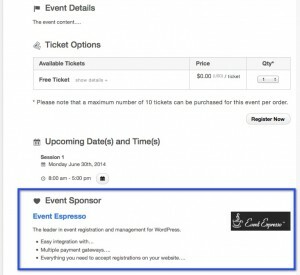 That basically covers adding a sponsors section to a single event, the registration process, and the thank you page. You may, or may not, want to add the sponsors section to each of these places, but the examples are there. 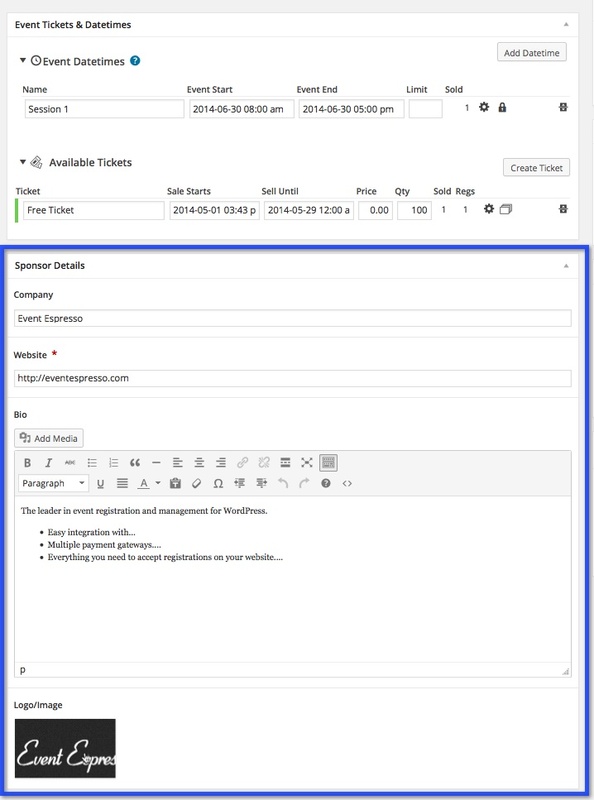 If you find that you want to add additional sponsors to each event, you may want to look into using the “Repeater Field” and “Flexible Content Field” add-ons for the Advanced Custom Fields plugin to to create an infinite amount of sponsors for each event.